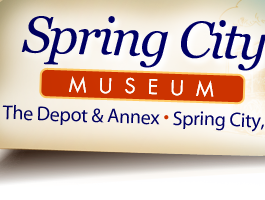 If you are visiting the area of Spring City we welcome you to stop by The Depot. The Depot, originally a train station, has been converted into a Museum for the town of Spring City. It features exhibs on American Indians, Tennessee music, area railways, the local community history and more. 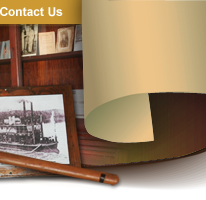 For photos of our area, events and museum exhibits, please visit our photo albums on facebook. As the hub of the town, The Depot is the main office for the Spring City Chamber of Commerce. The Chamber employee would be happy to tell you about any local events going on during the time of your visit. The Depot is located less than a half mile off highway 27. For directions or a map of the area click here. ©2017-18 Spring City Museum. All rights reserved.